For awkward, close-fitting spaces use this kit of three DMT® Offset Dia-Sharp® 2.5” Diamond Mini-Hone® Sharpeners. 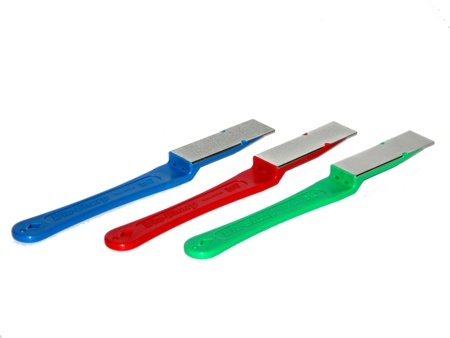 The offset, ergonomically designed handle provides comfortable sharpening, deburring and honing in tight spaces. Easy access tip measures .033” thick. The diamond surface measures 2.5" x .75".